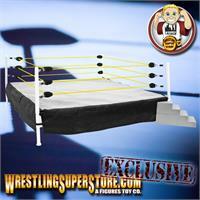 Yellow Ring Ropes for the Wrestling Action Figure Ring by Figures Toy Company. You get a set of 3 yellow ropes for your wrestling ring. These are designed for the wrestling ring made by Figures Toy Company (Purchase seperately in the related products section below).